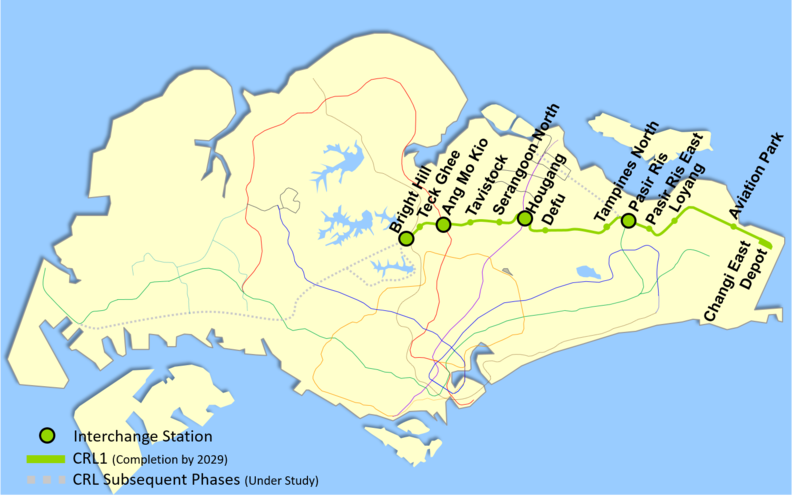 The construction of Cross Island Line Phase 1 will involve eight properties being affected by partial acquisitions. They are Kong Meng San Phor Kark See Monastery in Bright Hill, Ang Mo Kio Hub, Gain City Best-Electric and Daikin Airconditioning in Ang Mo Kio Industrial Park 2, Loyang Industrial Park, Hitachi Chemical in Loyang Way, an electrical substation in Loyang Avenue and Loyang Valley condominium. The land affected will total 4,508 sq m, but no building on the properties will be affected and no relocation will be required. The LTA said the Cross Island Line will be completed in three phases. No information was given about the other two stages, which involve the possibility of tunnelling beneath the Central Catchment Nature Reserve. 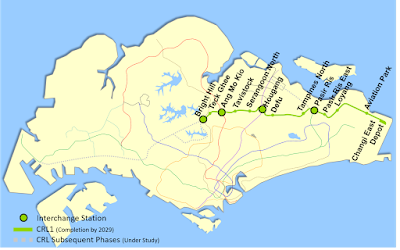 The line was to be ready by 2030, doubling Singapore's rail network to 360km and enabling 80 per cent of households to be within a 10-minute walk of a station. Marketing professional Charissa He, 29, said she is happy that there will be a station in Serangoon North, where her future home will be. She added that the Cross Island Line "is a good line, as it allows passengers to switch to other lines easily, and eases choke points".